£640,000 raised - aiming for a million! The 2018 run Pictures are up! For the 2018 Run the weather was just perfect; sunny and warm with a breeze to stop it being too hot! Congratulations Everybody! (you can look at previous years as well). 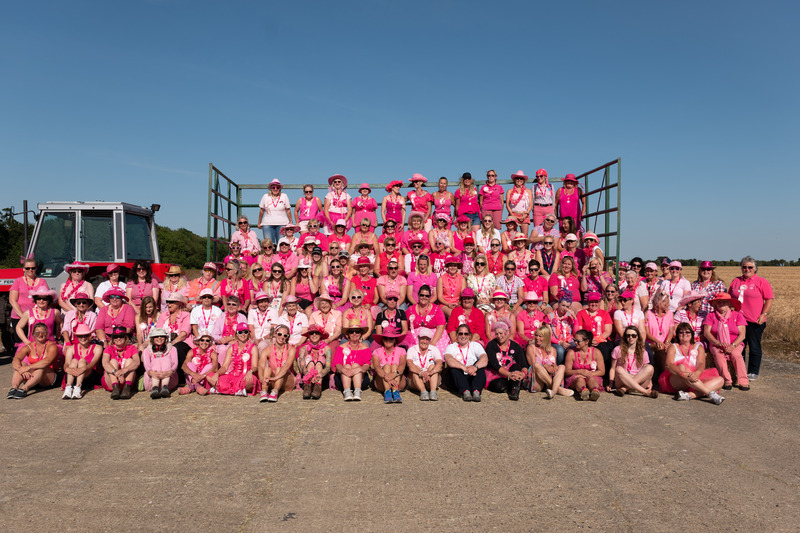 Please visit the FaceBook page: Pink Ladies Tractor Road Run where the pictures have already been put up as albums ready to tag yourself and your friends. In the meantime here is the 2018 Group Picture - click on it for a much larger version! £584,000 raised so far - aiming for a Million! Can We Do it? ... Yes We Can! Was a wonderful day - the weather was just about perfect and everyone had a fine time. The only disappointment was that the Brockdish water splash was waterless!. The Pictures are now up, just click on the 2017 Run link at the top of the page (you can look at previous years as well). You can download a zip file with larger copies of all the pictures from DropBox Here (it's 750Mb!). Please visit the FaceBook page: Pink Ladies Tractor Road Run ( https://www.facebook.com/groups/1137469042946517/ ) where the pictures have already been put up as albums ready to tag. In the meantime here is the 2017 Group Picture - click on the picture for a much larger version! £527,000 raised so far - only £473,000 to make a Million!